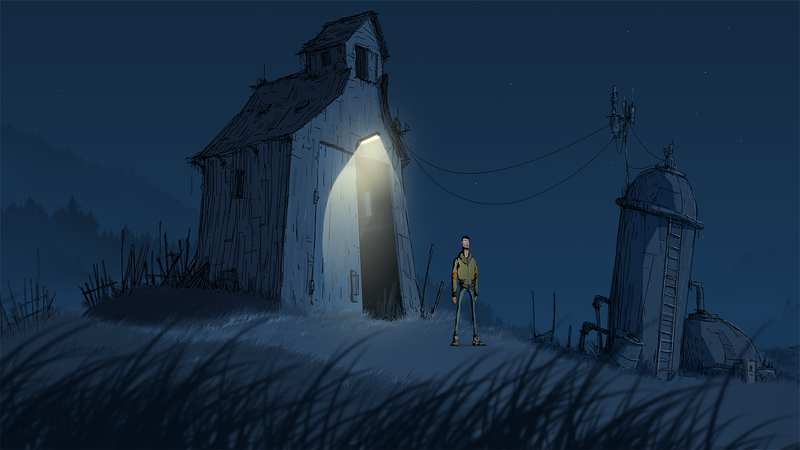 Adventure Game Studio | Forums | Unforeseen Incidents - Out Now! 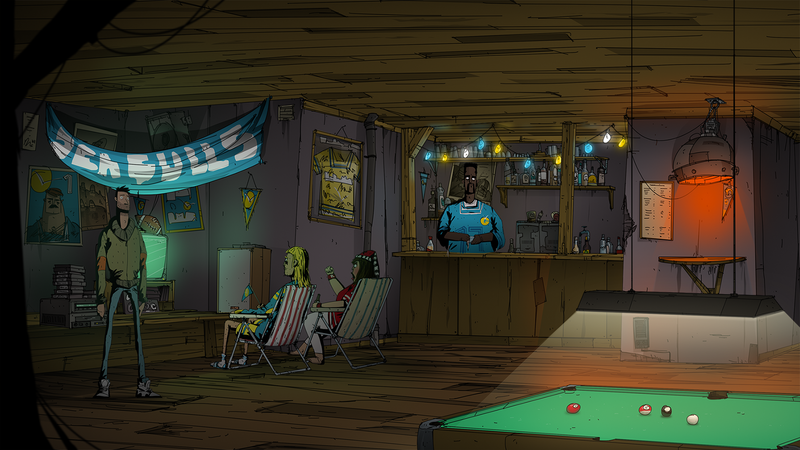 Topic: Unforeseen Incidents - Out Now! Unforeseen Incidents - Out Now! Hello! Apologies for the slightly spammy post, but a game I'm working on is on Greenlight, and I think you might be interested in checking it out. 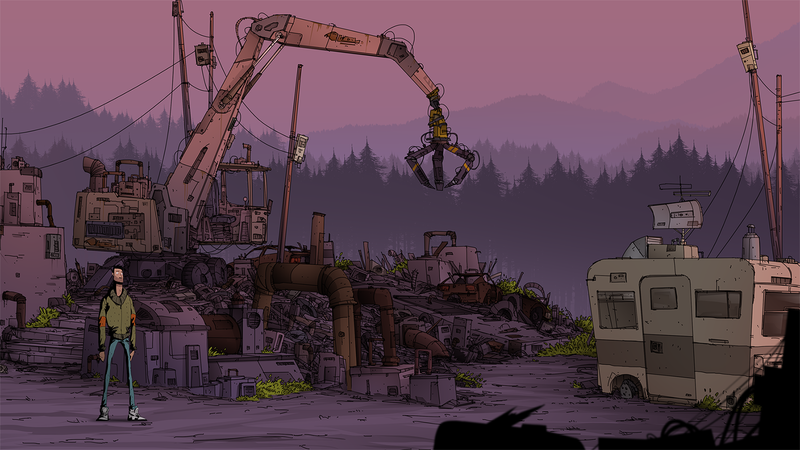 Unforeseen Incidents is a conspiracy mystery with a subtly black sense of humour. It's being developed by a team called Backwoods Entertainment, and published by Application Systems Heidelberg (who published my game Nelly Cootalot: The Fowl Fleet). The game follows small-town handyman Harper Pendrell as he's drawn into a mystery involving a cryptic radio signal, a deadly disease and a fanatical cult. Armed with nothing more than his trusty multi-tool, can Harper get to the bottom of the conspiracy? 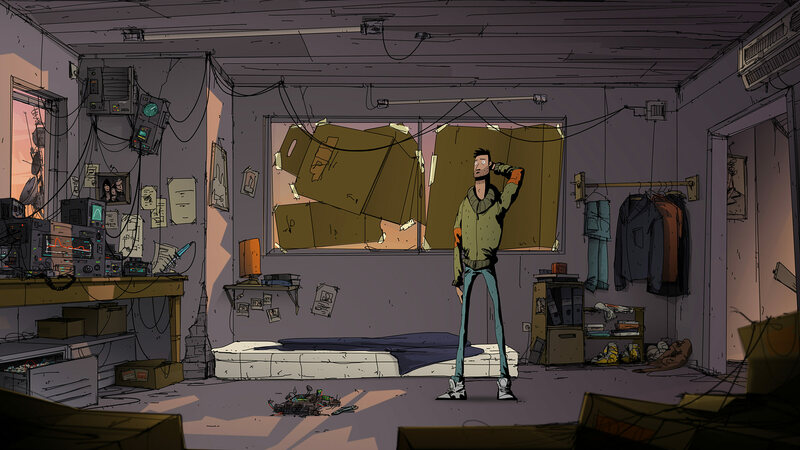 Please vote for Unforeseen Incidents on Steam Greenlight! Sounds interesting and I love the art style! I hasten to add that the lovely art (seriously, check out the detail at full-size!) is totally NOT drawn by me. There's more info about the artists Matthias and Sebastian on the Backwoods Blog. Just voted on greenlight, this game is so beautiful! Thanks for posting Alasdair. It looks great! this is looking great! But I can't wait for 2017. Finish it NOW! Good luck with the game!!! Just a reminder: It is 2017 now and will probably be two more months until it is finished. It is showing at gamescom 2017 in the Indie Arena booth Hall 10, booth A020 - just in case anyone is attending. i so want to play this.... The art is hypnotising!!! Dude this is one of the most satisfying art styles for a video game I've seen recently. Probably my favorite adventure game art style. Awesome! It reminds me a bit of my favorite hidden picture in the newspaper. The artist is Rigby. I grew up looking for the face and the dog in all his pictures. Cant remember if it was the post or daily news though. The game looks really great! Will we be seeing a DRM-free release, or is it steam-only? As I've said in other places, ace trailer. Really looking forward to it, and it's my one AdvX regret not talking to the creators or checking it out. Pumped! I hope it'll go to GOG, but the publishers will also sell it direct from their website (there will probably be serial number number copy protection, but not intrusive DRM). Could you please ensure that copy-pasting in the serial number works properly this time around? That was a massive frustration with Nelly Cootalot 2, when it kept telling me the number was invalid until I retyped it character by character. Re: Unforeseen Incidents - Out Now! I hope and believe that the serial number issue is fixed now. The game came out on Thursday and (so far) I haven't heard about any issues. I worked on the English dialogue, so I'm not objective. But I honestly really like this game. Adventure Gamers gave it 4/5: "Excellent visual, audio, and puzzle presentation." And Rock, Paper, Shotgun liked it too much, frankly: "a sharp, smart, witty and superbly constructed adventure, with stellar voice acting, superb music, and some of the most splendid hand-drawn art I’ve seen in forever." If you like it, tell your friends. If you don't like it, tell your enemies. Well, I preordered it, and while I still dislike ASH's ordering system (it drops into German partway through the process, didn't send me a confirmation mail until the game was actually released, and required several seemingly unnecessary hoops to actually access the game), and chose a Steam code to avoid the whole serial/activation code issue, I'm excited to play it!